my name is Friedrich Lachnit. I worked as a concert technician for 15 years for the Viennese piano manufacturer Bösendorfer. Then I was head of their piano electronics for another 10 years. In this time I was allowed to head project CEUS and the R&D of a master keyboard prototype for Bösendorfer. Quality control grand piano - hammer heads aswell as redesign of them. Service, maintenance, repair, recording, editing, live concert management with the Bösendorfer SE Computer grand piano. Research, development, certification of the Bösendorfer CEUS selfplaying system. Essential knowledge of measuring and control technology and electronics. 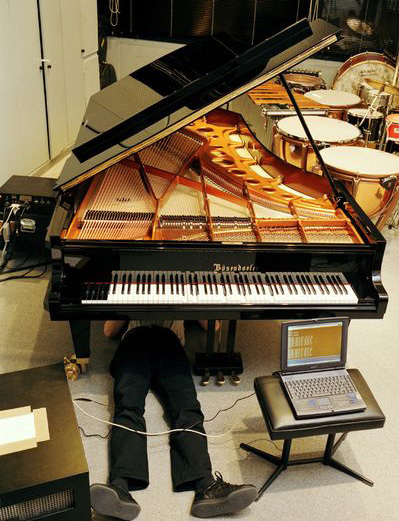 Scientific collection of data concerning time response and dynamics of grand piano mechanics as well as artistic interaction and their effects on the sound design. All that isn't just useful to develop the world's best self-playing system it also enabled me to create a really fine keyboard. Where did the idea come from to develope a masterkeyboard in Austria??? At my Bösendorfer time years ago Peter Wolf visited Bösendorfer/Vienna. I proudly presented him the first CEUS. He put his notebook on the grand piano, looked for the midi socket, found it, and started to play. Midi values of finest quality were instantly displayed on his notebook. He played them back and was thrilled. "When will you build a decent masterkeyboard in this quality? We're all waiting for one." "This is great, but I cannot turn the volume down nor can I take it with me...."
In 2011 I started my own business with FLKeys. Without their help the MK23 Keyboard wouldn't exist. TVE is a small but excellent company for electronic development. I wouldn't have made it without you !